Aviation Updates Philippines – Malaysia Airlines Flight 370, a code share flight departing Kuala Lumpur for Beijing was lost in the radar last March 8 at 2:40am. The plane was a Boeing 777-200(ER) registered as 9M-MRO. As search and rescue operations last long, families felt neglected by Malaysian Government and the airline. Malaysia Airlines had a Press Conference last March 19, 2014. 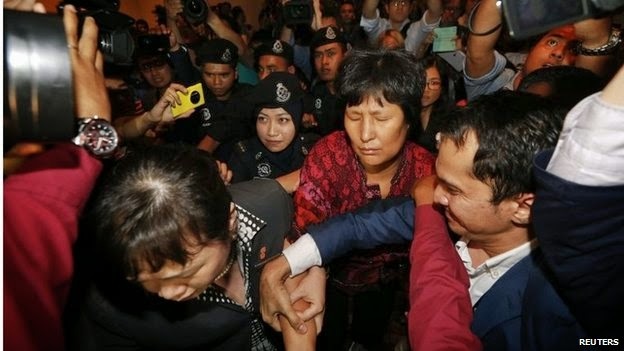 Families were dragged out as they tried to enter the conference room. Family members were gathered in Beijing’s Lindo Hotel Ballroom. All on the plane & ground crew investigated. As officials investigate the flight simulator, found at the pilot’s house, they found out that some data were deleted. Deleted data could be retrieved. The southern corridor is more difficult to search than the northern corridor, officials say. The unprecedented operation covers 8 million sq. kms. A retired pilot flew the plane many times; the missing airliner was one of the youngest in the fleet. “All 777 pilots really know the handy turns. It is possible that the pilots were not the one controlling it” a summary of what the retired pilot said. High-level team was sent to Beijing. Search planes were dispatched to the southern Indian Ocean on Thursday after Australian authorities announced that satellite images showed least two objects in the area that could be connected to missing Malaysia Airlines flight MH370. Four aircraft were been sent to the area after a "Possible indication of debris" was detected in satellite imagery, said the Australian Maritime Safety Authority, which is co-ordinating the search in the southern Indian Ocean. Abbott said an Australian air force Orion had been diverted to look for the objects, with three more aircraft following for a more intensive follow-up search. "The planes returned without finding anything after the initial search. Abbott cautioned against drawing premature conclusions. "We must keep in mind the task of locating these objects will be extremely difficult and it may turn out that they are not related to the search for flight MH370. 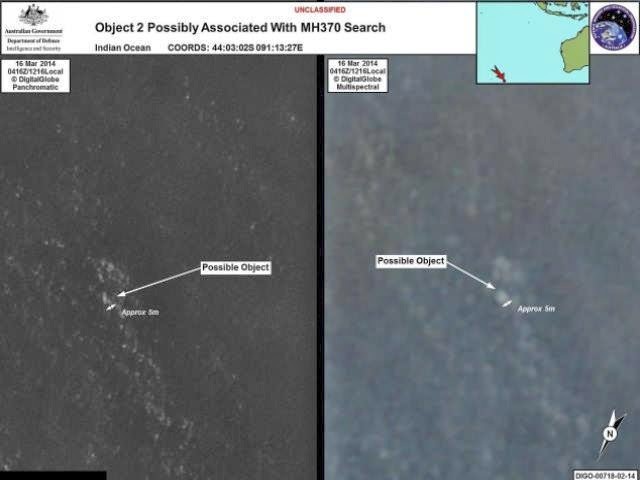 A senior Australian military official, Air Commodore John McGarry, said the satellite material was credible enough to divert search efforts to the area involved. Malaysian officials said on Wednesday that both the northern and southern search arcs delineated by analysis of satellite data - sweeping north to Kazakhstan and down to the southern Indian Ocean - remained of equal interest. The total search area set out by Malaysian authorities, covering a total of 2.24m square nautical miles, was based on initial analysis of the signals the plane sent to satellites.